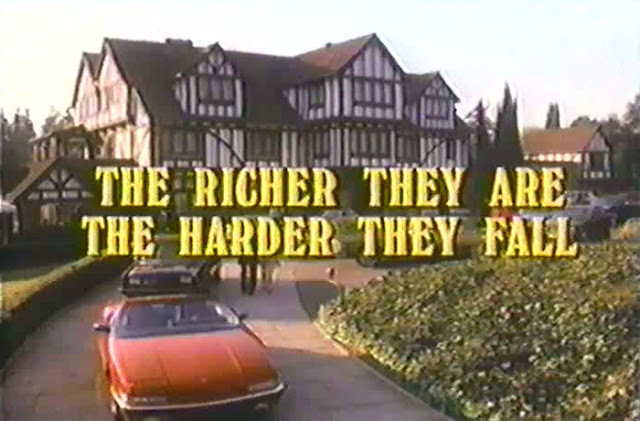 In 1988, Kate McNeil guest starred on Simon & Simon in an episode titled 'The Richer They Are the Harder They Fall'. The episode concerned an old friend of A.J. Simon's named Tommy Van Alder (played by Paul Tuerpe) who is from a wealthy family and is married to Trish Van Alder (Kate McNeil). Tommy Van Alder mysteriously dies shortly after the episode begins during a wedding vow renewal ceremony. Rick and A.J. Simon are then hired by the dead man's family to investigate the death. 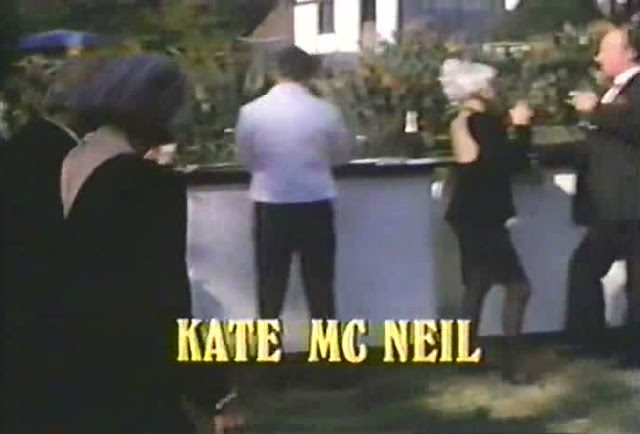 1988 was a good year for Kate McNeil. She began the year with the first of two appearances she would do on Murder, She Wrote. That summer her second horror film, Monkey Shines, was released to theaters in the USA and that role has become one of her most popular. She closed out 1988 with a nice guest role on Simon & Simon. In 'The Richer They Are the Harder They Fall', Kate McNeil doesn't have all that much screen time, but nonetheless is central to the story. She looks great throughout and this is, of course, about two years before she would cut off most of her hair in favor of a shorter hairstyle she would display during 1990-91. An yes, in case you were wondering, she does have the requisite kissing scene with Simon & Simon star Jameson Parker!